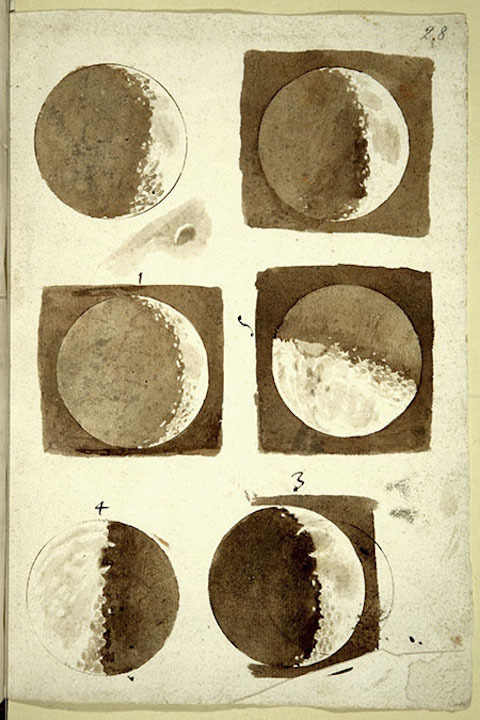 Model the phases of the moon, discuss the moon's appearance, and model moon dust formation. 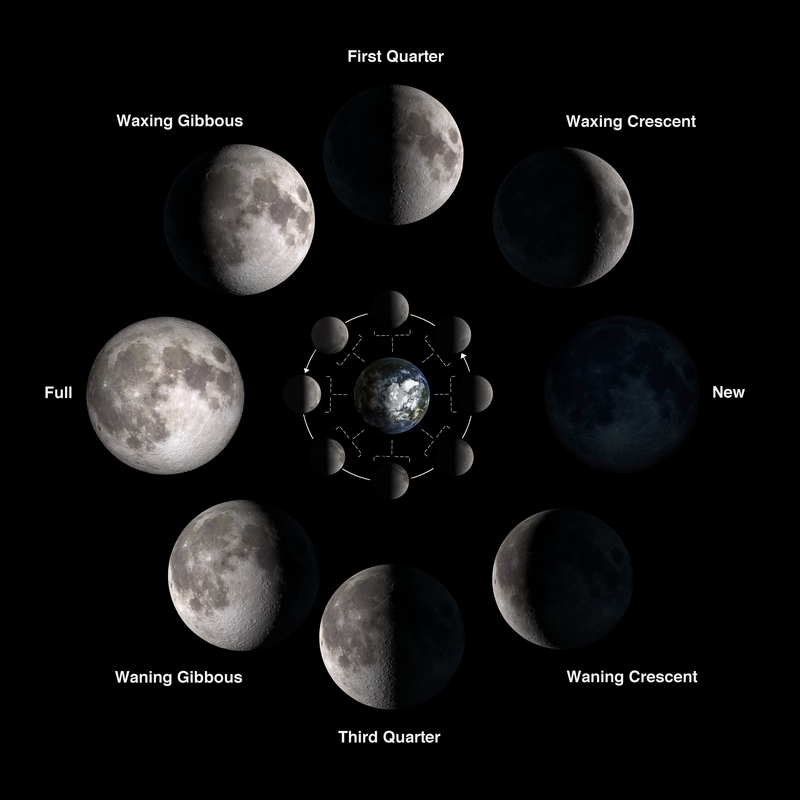 Ask students if they have seen the different phases (shapes) of the moon. What do you see? Different cultures see a Man, a Rabbit, or other images. We know how these features are formed - dark areas are lava flows from when the moon was younger - the same rock as one of the dark rocks on earth: basalt. The round circles are craters from chunks of rock, or meteorites hitting the moon. All the mountains are formed by impacts, as the moon does not have tectonic plates. To land on the moon we needed to look much closer to map out a landing site. In the photo of the moon (http://www.ngc7000.org/cam/moon.html), the dot next to the Ptolemaeus Crater is the Alphonsus crater, which is 100km wide. Looking closer at the Alphonsus Crater through the cameras of a probe called Ranger 9, we see the images on p.4, 5 and 6 of http://www.nasa.gov/pdf/377727main_Lunar_Math.pdf (Ranger 9 crash-landed on the moon (1965), to find a potential place for man to land on the moon). LRO (Lunar Reconnaissance Orbiter) is currently making a detailed study of the moon and impact analysis has found water-ice on the moon. 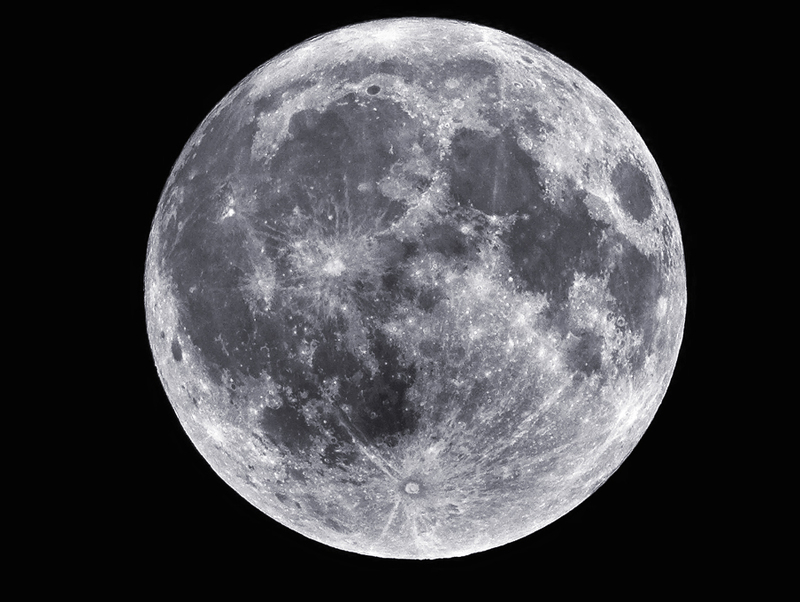 The surface of the moon is covered in “regolith” or moon dust. We will make regolith, then look at one of its properties that has made work on the moon challenging. Do the Moon reglolith activity. Tides: Moon has enough gravitational pull on earth to pull the water around and make the tides on earth.